As a part of National e-Governance Plan, variety of services offered by the Punjab Government are now being brought to you through electronic service delivery. GSC and Suwidha centers are now authorized to receive service requests from Citizen like you and submit them electronically to the departments for verification and processing. Upon service completion, the GSC and Suwidha centers are authorized to deliver these services to you from a location near to you. You can avail these services by visiting nearest GSC or Suwidha center in your area. Please refer to list of GSC and Suwidha centers nearest to you. Please read about the available services, service details, and fee for services, required forms and required proofs before visiting your GSC. Please carry a filled in service request form, required proofs and required fee while visiting the GSC. Your GSC/Suwidha center will receive your application, scan the documents, receive the payment and provide you with a receipt bearing unique DSN number. Use your DSN number and visit this portal to verify status of your service request any time in the future. Once the service is ready of delivery, it will be intimated to you via SMS and eMail. Please visit the GSC to receive your service. Verify GSC registration certificate at GSC location along with expiry date of the certificate. The GSC must be a registered and current service provider under the e-District Scheme. 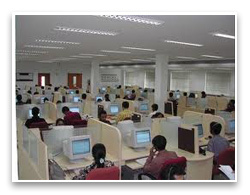 Verify the electronic application entered by GSC for accuracy of data. Please use your login credentials to login into the departmental use area. The login links are provided at top section of this page. In case if you do not have your credentials created, please contact your office e-District Application Administrator to create these for you. If you are a signing authority, you would need Digital Signature issued by the Government for the purpose of approving or rejecting any service request. All services are available as electronic workflow and are queued up in your Activity box. Please use online help, training material provided to you for using this software.